Home » Parapsychology Education » Psychic Forces. The source of psychic powers and emerging problems. How much of our lives are under our control? Do you get all the spiritual powers you want? Can you make Astral travel whenever you want, can affect people with telepathy, move all the objects with telekinesis? Can you see all the events that have happened and will happen at any time? Can you improve your spiritual aspects the way you want and control all of them? 〉 The psychic powers are largely born after birth or mental distress. 〉 Few have been able to gain some spiritual powers by improving themselves, and most of them do not know what to do because they cannot control the capabilities they acquired at some point. The rest of them are in the class that does not know. Psychic Ability Positions in the Birth Map The positions and psychic powers that are out of our control show areas that are directly exposed or available for disclosure. Without making any effort, the psychic powers that are obtained without any accumulation bring about an uncontrolled emergence as it does not have an idea of ​​how it occurs. The psychic powers that come with these fields are similar to the fact that a human being comes into space without any knowledge. You cannot have an idea of ​​what to do and how to proceed. Worse yet, the doors that are open to the psychic forces can be considered as a control mechanism by other people and entities. If we compare the lives of those who live normally in a vehicle that does not have a door, we can be compared to those who have innate spiritual abilities by means of a vehicle that can be opened. However, since those who are in this category do not know how to control the doors themselves, when the doors are opened with external intervention, the vehicle can exit their controls. Both an abnormal life and an uncontrolled journey reveal enough reasons to disrupt the balance of life. The ability to obtain information, the knowledge acquired and the application of different techniques and teachings, and the existing or non-existent abilities are used in the material world sensibly. For many, it takes too long to be persisted. Most beginners leave before they reach the halfway. An important part of the survivors see that they have no significant contribution to their lives. A significant part of the rest of the rest, however, continue to move forward with determination to improve their spiritual abilities. However, as in the example I gave in the top title, most of the forces have to leave each other for reasons such as not being able to trigger or control each other. Almost 80% of those who begin the slice of their lives begin to know that they can never be the same again. They can never keep their lives on the old line again. Both the areas of interest and the experiences that they have acquired cause them to move between the two dimensions because they carry spiritual traces in the trans-substance line. The most obvious difference between the innate psychic powers and the later acquired spiritual forces; “Consciousness”. 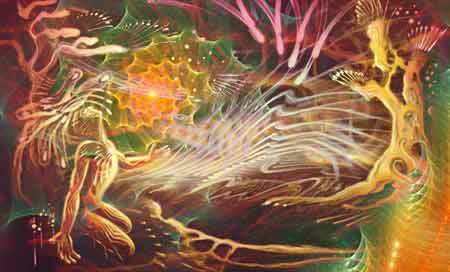 The innate psychic abilities represent uncertainty and the acquired abilities represent consciousness. 〉 Comes with knowledge, experience and knowledge. It is learned by observing and experiencing a long process. 〉 Internal mechanisms and spiritual abilities can be achieved in a controlled manner. Which mechanisms trigger what mechanisms, what mechanisms can be learned by experiencing. 〉 It is possible to develop, to obtain more or to see enough. 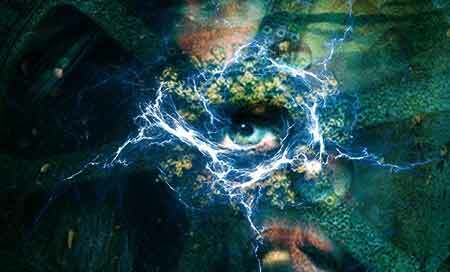 The innate psychic powers can also be developed, but only additions can be made to the existing one. It is not possible to have an idea of ​​how it occurred before. This is the difference between being a fish and learning to swim in the water. The innate psychic powers have a ready-made electrical installation, and the lamps connected to the plus pole with the minus are inadvertently blinking. Afterward, the acquired spiritual forces are also learned and used at the end of a process where the installation of the installation, which material to use, where the key will be opened, and how the circuit will be opened. Those who have innate psychic powers – talents can only learn this process by developing a different ability and developing themselves, but even in this case they will use most lines ready. Many of them begin to practice the techniques they have read, read, and receive in a hurry to get telekinesis, telepathy or other pleasant spiritual abilities. Because no one has enough time to get comprehensive information! After a while, the techniques applied to learn telekinesis trigger the psychic forces waiting to be active and reveal the spiritual powers that they cannot control and control. Electronic devices in or near the environment begin to deteriorate. She finds herself on the road to learning telepathy, struggling to hear voices that she doesn’t want, or struggling into her feelings. He tries to improve his Clairvoyance, but he has to endeavor to prevent unwanted images so that he cannot control it. Fear is inevitable in every situation because it cannot control anything. 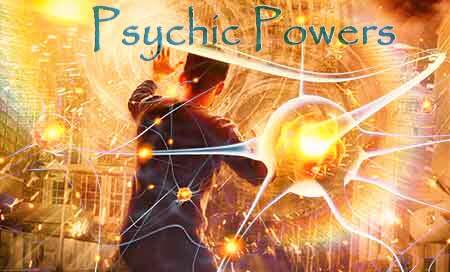 Psychic powers are like the development of muscles. If you run to improve your muscles, not only your foot muscles but also all your moving muscles. Not only your feet, but your whole body, blood circulation, nervous system and organs are healthy. Psychic powers are also linked. If you try to build the building without throwing the foundation, you will not know how many times you will be out of control. Think of the spiritual power as a whisper standing in a closed box. If you look into the box and look inside, you should never touch that box if you don’t know what to do and whisper to you. 〉 Reading only the foreword of a book gives an idea about that book, but what you need is in the book. You should read it all. 〉 Knowing where to go and where you want to go on the map does not bring you a healthy journey. You must learn all the way. Whether innate or acquired spiritual forces, Will and consciousness will help you gain the mechanisms you need to mobilize to ensure you have adequate control. Remember that you have the most advanced hardware in this universe. Do not turn yourself into a wind-sailing sailboat. Go to the helm, never ride the ship, or find out how to use it. What should be done if psychic powers are a problem? 〉 First of all, don’t tell anyone about your situation except the people you think will understand. These situations are not about your mental health, but if you don’t know where you are talking, you can start to doubt this situation. 〉 If everything starts to evolve beyond your control and you cannot continue your life in a healthy way, first tell the situation in a language that your family can understand. Then the person you’re going to be familiar with parapsychology or sub-material science. 〉 Operate the process in reverse. Do not relate to the spiritual forces that arise from the methods and techniques that you apply, and to anything related to it. 〉 Engage yourself in social activities. Try not to be alone. Get hobbies, do sports, focus on your personal skills. Recycling time or more may be required. 〉 If the process has been involved in different assets, contact the people who are competent in this area and, if possible, do not do this for money. Or contact experts who are familiar with these issues. 〉 Our spiritual and material life should always be in balance. When the balance shifts to an uncontrolled side, either the spirit remains in the background or the item size is left behind. You must give weight to the required direction to maintain balance.